The wonderful Ronni Hawk is, without a doubt, everyone’s #WomanCrush everyday. Everything about her is pure perfection. She is a brilliant and skillful actress, an incredibly charitable individual and one total mega-babe! We loved watching the amazing Ronni Hawk in the fan-favorite, highly-acclaimed, Disney Channel show, Stuck in the Middle. Ronni Hawk instantaneously captured the hearts of fans worldwide with her sassy and fantastic role as Rachel Diaz on the show. Ronni Hawk’s unrivaled talent always left everyone in awe in each and every episode and she was always so much fun to watch. After her good-bye episode on Stuck in the Middle, Ronni Hawk embarked on a new, exciting project – the hit show, On My Block on Netflix. Ronni Hawk once again mesmerized everyone in On My Block. Fans and critics alike have praised this extraordinary show and we had no doubts that it will be terrific because the one and only Ronni Hawk is in it. When she’s not on set working on an awesome show, Ronni Hawk keeps busy with a lot of volunteer work. She has traveled to many countries to help those in need and she is known for being an avid supporter of the excellent Thirst Project – an organization that helps bring clean, safe water to impoverished communities and developing nations. It’s clear to see that Ronni Hawk is one admirable and sensational role model to all of her fans. She always inspires everyone to help make this world a better place. She also brings out so much girl power and is someone who radiates so much confidence in everything that she does. Ronni Hawk is truly a beauty both inside and out and a total fashionista. We can’t help but have so many heart-eye emojis over her exceptional OOTDs – whether on the red carpet or just walking around town. Ronni Hawk is an absolute gem and it’s obvious to see why she’s everyone’s favorite person on this planet. I, Alexisjoyvipaccess had the greatest honor of covering the 9th Annual Thirst Gala and had a marvelous time catching up with and interviewing the dazzling Ronni Hawk again at the event. 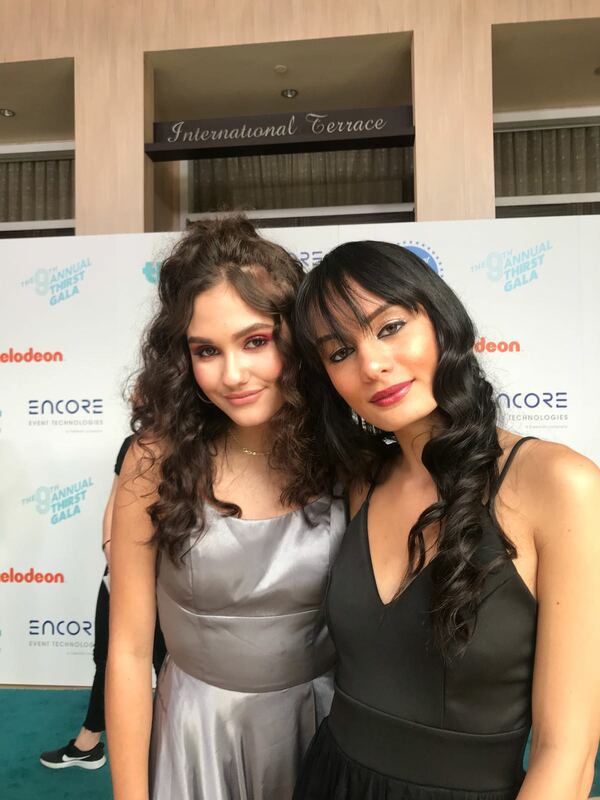 Ronni Hawk dished exclusively to Alexisjoyvipaccess all about what it was like for her showing her support at the Thirst Gala, what her favorite episode is from her show, On My Block and so much more only in our VIPAccessEXCLUSIVE updated interview. Ronni Hawk even revealed which actress she would like to work with in a future project – hear what she had to say in our VIPAccessEXCLUSIVE updated interview below. Thanks for another super fun interview, Ronni! Check out my VIPAccessEXCLUSIVE updated interview with the stunning and fabulous Ronni Hawk at the 9th Annual Thirst Gala below! Next VIPAccessEXCLUSIVE: Kenny Ortega Interview With Alexisjoyvipaccess At The 9th Annual Thirst Gala!